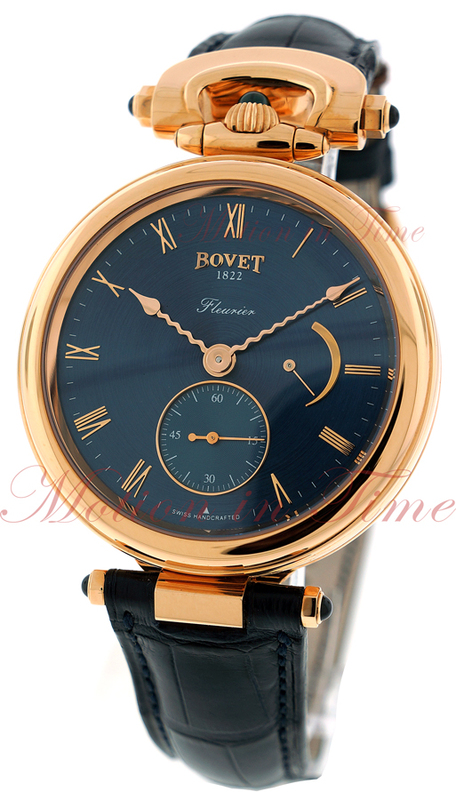 Bovet Fleurier SA is a Swiss brand of luxury watchmakers chartered May 1, 1822 in London, U.K. by Edouard Bovet. It is most famous for its pocket watches manufactured for the Chinese market in the 19th century. Today it produces high-end artistic watches (priced between US$18,000 and $2.5 million) with a style that references its history, and is known for its high-quality dials (such as the Fleurier Miniature Painting models), engraving, and its seven-day tourbillon. The original Bovet watches are also famous for being among the first to emphasize the beauty of the movements with their skeletonized views and highly decorative movements. They were also among the first to include a second hand. Bovet has a tradition of employing women artisans, which is rare for traditional watch making companies in Europe. Pascal Raffy is the current owner.